Home / Computers/technology / Mobile / Might This Be The Latest Apple 'Leak'? The latest 'leak' of what seems the be the upcoming Apple iPhone XI could feature three cameras on its rear in a radical new design (if these leaked renders turn out to be correct, that is). The latest iPhone is something that has been shorded in mystery, but these leaked renders suggest that Apple is finally willing to change the look of its flagship and follow the camera crowd, with three lenses on the back as well as a flash. Below these seems to be a microphone, which would mean that it would capture even better audio from whoever is being shot by the latest iPhone XI. 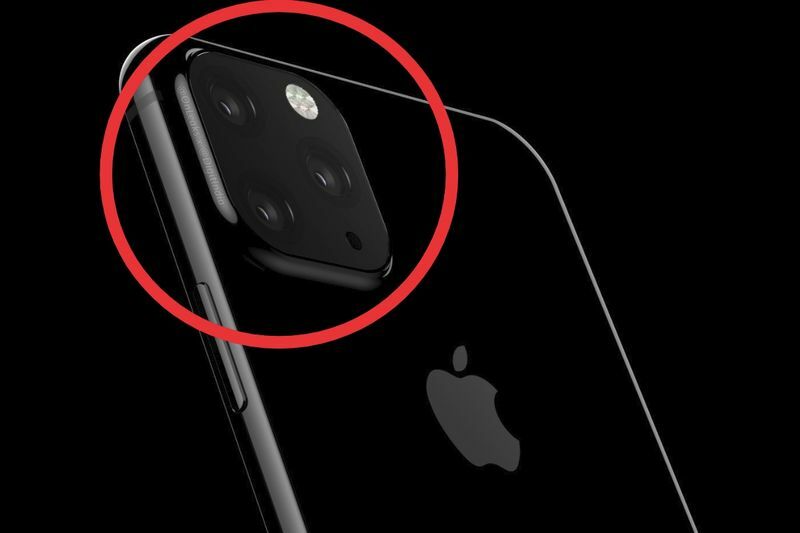 It is rumoured that the strange alignment of the cameras might have something to do with Apple adopting to the 3D camera world. This is something that Sony is going big on and it would certainly help with augmented reality. Apple made a huge deal out of ARKit and the iPhone's AR credentials when the iPhone X launched, but it has gone a little quiet since then about this technology. Whatever Apple does, it will be building on a solid camera foundation. The lenses seen in the iPhone XS and XS Max puts these handsets well into the best camera phone territory.